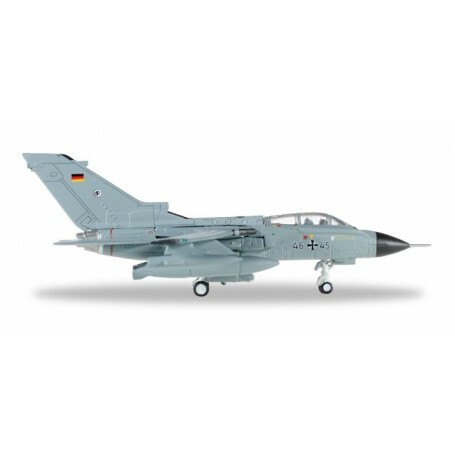 Luftwaffe Panavia Tornado - TaktLwG 51 'Immelmann' Operation Counter Daesh, Incirlik AB, modell i metall. Since January 2016, the German Air Force has been participating in Operation Counter-Daesh against the so-called Islamic State with, among other assets, four Tornado reconnaissance aircraft. The model is equipped with the RecceLite pod utilized in the operations over Syria.